Rep. Dennis Kucinich (D-Ohio) told Hotsheet today that it's an "indisputable fact" that President Obama committed an impeachable offense by authorizing a military attack without congressional approval. "The next question is what does Congress do it about it," Kucinich said, adding that he hasn't said he's introducing a resolution for impeachment. "This is a teachable moment," he said. "The American people should understand that our Constitution does not provide for the president to wage war any times he pleases." Kucinich and other lawmakers -- including both liberal Democrats and some Republicans -- are raising concerns about the air strikes the U.S. military is conducting in Libya to prevent Libyan leader Muammar Qaddafi from killing civilians who oppose his rule. The United States on Monday fired cruise missiles over Libya, after leading a round of air attacks over the weekend. 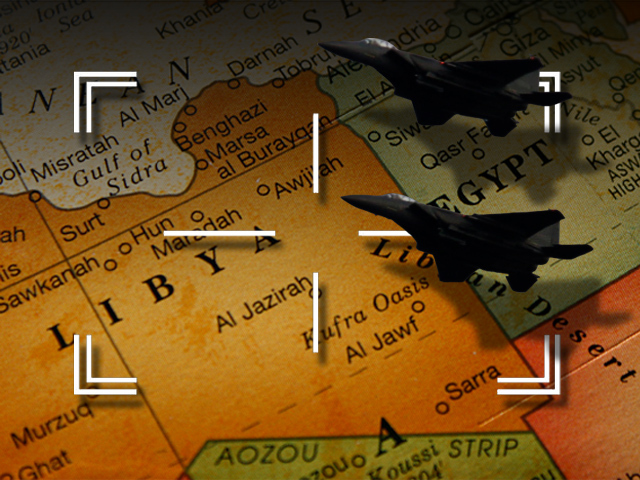 The air attacks are part of an effort to enforce the no-fly zone over Libya approved by the United Nations last week. The U.N. resolution approving the no-fly zone also approved "all necessary measures" to prevent attacks on civilians. In a press conference, Mr. Obama maintained today that the U.S. will hand off control of the mission to the international coalition supporting the no-fly zone in a matter of days. But Kucinich said the U.S.'s continuing role in the mission does not change the fact that the president went outside of his authority. "They crossed the line," he said. "The president needs to explain to the nation why he went outside the Constitution to order this attack." The 1973 War Powers Act requires the president to notify Congress within 48 hours of any military action and forbids armed forces to remain in action for more than 60 days without congressional approval. However, several presidents since then have initiated attacks without congressional approval. Kucinich said that Mr. Obama's actions were unconstitutional, according to the president's own constitutional interpretation. He cited a 2007 interview in which Mr. Obama said, "The President does not have power under the Constitution to unilaterally authorize a military attack in a situation that does not involve stopping an actual or imminent threat to the nation." President Obama met with congressional leaders at the White House on Friday to discuss the situation in Libya, and today, he sent a letter to House Speaker John Boehner outlining the nature of the operations there. "Left unaddressed, the growing instability in Libya could ignite wider instability in the Middle East, with dangerous consequences to the national security interests of the United States," the letter says. Mr. Obama added, "I am providing this report as part of my efforts to keep the Congress fully informed, consistent with the War Powers Resolution. I appreciate the support of the Congress in this action." Watch President Obama in a press conference today defend his administration's actions in Libya. With respect to the president's meeting Friday, Kucinich said, "To call a couple congressional leaders up doesn't fulfill a constitutional requirement." "Taking us into a war involves putting the lives of American men and women on the line... and an expenditure of extraordinary amounts of money," he added. The U.S. could end up spending up to $500 million in one week on this mission, Kucinich charged (the National Journal calculates that U.S.-led forces spent $112 million and $168 million on just the first day's strike in missiles alone). Furthermore, he said he was skeptical of those who insist this will be a quick operation. "We've heard the story before we'll be in and out right away," he said. "There are people who are pushing for regime change, and the president himself made reference to that a couple weeks ago." While Kucinich seems to be the most outspoken about his concerns with the Libya mission, other liberal congressmen are also raising objections to the administration's decision to take action without congressional approval. Democratic Rep. Mike Honda of California also noted today that the Constitution gives only Congress the power to declare war, Agence France-Presse reports. He said the U.S.-led operation "sends the message to the world that American democracy is deeply dysfunctional." Honda reportedly said the Defense Department decided to act in Libya "based on energy security considerations, which is particularly apparent given Libya's 7th-ranked oil reserves." That "sends the message that America cares little about the human rights and freedoms of people in countries, like the Democratic Republic of Congo, Western Sudan, or Ivory Coast, without critical energy resources," he continued. "I demand a serious conversation in Congress before new countries are incautiously invaded and before America's legislative branch is eviscerated further." Meanwhile, on a Democratic Caucus conference call on Saturday, Reps. Jerrold Nadler (N.Y.), Donna Edwards (Md. ), Mike Capuano (Mass. ), Maxine Waters (Calif.), Rob Andrews (N.J.), Sheila Jackson Lee (Texas), Barbara Lee (Calif.) and Washington, D.C. Delegate Eleanor Holmes Norton (D.C.) all questioned the constitutionality of the president's actions, Politico reports. Liberal groups and commentators are also voicing concerns. VoteVets.org, a progressive veterans group released a statement declaring that it cannot support the president's actions. "Though the actions in Libya are morally justified, and we are extremely interested and eager to see the Libyan people live under freedom, there are far too many unanswered questions for us to support this new US adventure in the Middle East," Ashwin Madia, Iraq War veteran and interim chairman of VoteVets.org said in the statement. Additionally, filmmaker Michael Moore has been slamming the president and the Libyan mission on his Twitter feed, pointing to the cost of the operations, and making remarks such as, "May I suggest a 50-mile evacuation zone around Obama's Nobel Peace Prize?" Blogger Andrew Sullivan pointed out that the Libyan military operation does not contradict the military philosophy the president put forward when he accepted his Nobel Peace Prize. The president said at the time, "I believe that force can be justified on humanitarian grounds, as it was in the Balkans, or in other places that have been scarred by war. Inaction tears at our conscience and can lead to more costly intervention later. That is why all responsible nations must embrace the role that militaries with a clear mandate can play to keep the peace."